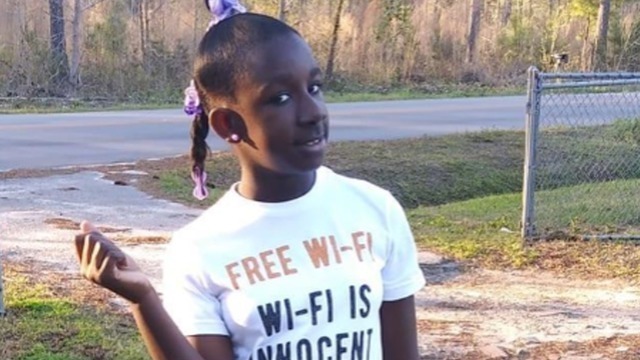 (WCBD) - The grandfather of a 10-year-old girl who died following what police say was a classroom fight is outraged the Colleton County school board will not answer his questions. Tuesday, the Colleton County school board held their first board meeting since Raniya Wright, 10, died. The Colleton County Sheriff's Office says Raniya died following a school fight at Forest Hills Elementary that happened on Monday, March 25. Since the incident, not many questions have been answered. Tuesday, the board did open the floor for public comment, however, no new information was provided and no questions were answered, sparking public outcry. "How do we hold our superintendent accountable for the unacceptable behaviors that have been happening in our district, yet you all have no problem with him?" one attendee asked. Raniya's mother's attorney, Margie Pizarro spoke during public comment. She said she did not know about this meeting prior to hearing about it on the news. "We heard within the last few hours that Raniya Wright was going to be discussed during executive session, so we wanted to make sure that if that occurred we were here," Pizarro said. Raniya's mother, Ashley Wright and Raniya's grandfather, Ernie Wright attended the meeting. Pizarro asked the school board to attend their executive session while Raniya Wright is discussed. "I would like to make a formal request that when this matter is taken up in executive session that myself, along with the attorney's involved, there's an attorney that represents Mr. Jermaine Van Dyke, I ask that we be allowed to participate," Pizarro requested. "We have certainly taken steps in helping determine what happened on March 25, we have information to share from our own private investigators." When she asked the board, there was nothing but silence. "Shall I get a response now or later," Pizarro asked. There was never a response from the school board. After the board went into executive session, News 2 spoke to Raniya's grandfather, Ernie Wright. "The system failed her," Ernie said. "It took a death for you to realize that the system is broken? It shouldn't have taken a death." Ernie said prior to his granddaughter dying, she was bullied for weeks. "My daughter called the school like two weeks about the same girl and the school didn't do anything about it, he said. "It's not like this happened yesterday, this was going on two weeks before it happened." He said his daughter, Ashley Wright, would call the school and speak to the principal and the school teacher about Raniya being bullied. "There were many days my granddaughter came home talking about her and the school district knows about it," Ernie said. "My granddaughter didn't even want to go to school because of bullying." Following the fight, a student was suspended. Ernie said the focus should on her, not Raniya. "They are trying to make my granddaughter the villain. I feel like they should be talking about the girl responsible mainly," he said. "They say they can't tell us anything about the young lady, to my understanding she was the bully." Ernie addressed the rumors saying his granddaughter died due to previous medical problems, and said those claims are false. "My granddaughter played basketball, she just got through playing basketball," he said. "A fight triggered it, whatever happened in the classroom triggered it. If she did have a sickness or whatever that we didn't know anything about, she got her 6 months check-up, the doctor's never told us anything, that's just another thing that's floating in the air that's a part of covering it up, just come out and tell the truth." He even gave his reaction to Sen. Margie Bright-Matthews (D) comments about what happened to his granddaughter. "I don't understand where that even came from," he said. "How do you have so much information and we don't?" Ernie says his family has received little to no information about his granddaughter's death. He says the bulk of what he knows is from the students in the classroom, not officials. "I feel like they know the answers, but I feel like they are looking for a loophole to see where we will be responsible for it," he said. "I want to know where the teacher was, I don't believe she was there. We have statements from students saying she was there." Ernie said that his family is hoping to seek legal action. "Some should be liable for it," he said. Now, the Wright family and the community still await answers as the investigation continues. Mourners remember SC Sen. Ernest 'Fritz"